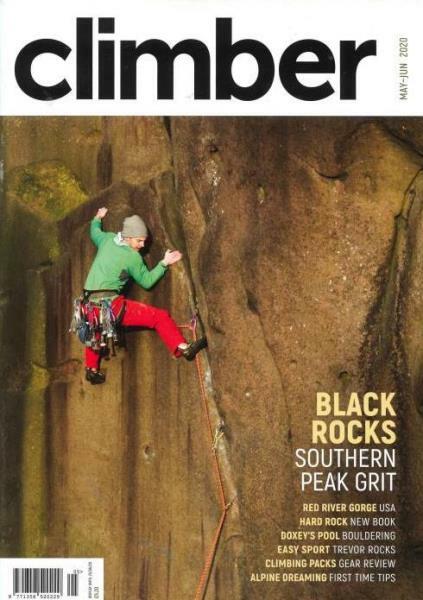 Climber is Britain’s most popular bi-monthly magazine for climbers. All the information that’s making news is covered with a loving eye for detail. There are also exciting features on all the various climbers that have made news for all the right reasons. Buy a single copy or subscription to Climber magazine. £13.00 every 6 months by Direct Debit. For all you trekkers, climbers, hikers and adventure-lovers, do you wish you had more information regarding challenging adventures and peaks to conquer? Then look no further than Climber magazine! Each issue is filled with news, the best destinations, interviews, competitions and training tips. Plus, keep up-to-date with all the latest gear on the market. Tips, instruction and advice are provided in generous doses by those experienced in the art of climbing and those who wish to make a humble beginning can also make use of the information made available. Climber magazine also understands the importance of environmental issues and makes sure that you understand the importance of maintaining the environment so future generations can make use of resources in the same way.